Our media partner NEUREUTER FAIR MEDIA as the Full Service Partner of S.I.H.A. 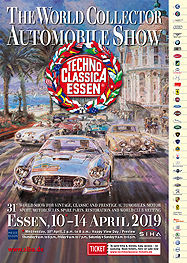 Ausstellungen Promotion GmbH, is pleased to support you in preparations for your media appearance of the Techno-Classica Essen again. Due to the enlargement of the event guiding tools are highly needed to lead the visitors goal-oriented through the fair. 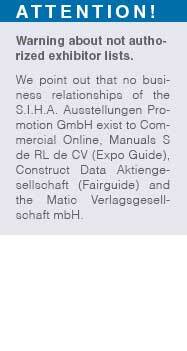 Besides the official trade fair catalogue as main reference book we therefore provide an online data base. What can this media do for you as an exhibitor? All taken entries in the print catalogue will automatically be published crossmedial in the online data base. 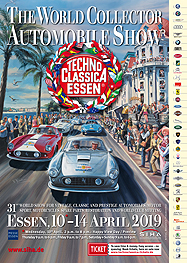 Next to attractive banner positions the online catalogue affords a Trade Centre, in which you can present you classic vehicle and services incl. images. All options will secure a long-term and effective promotional impact. Please have a look at our linked PDF-brochure for more details and further possibilities.